The Powerhouse Event Center near the I-184 Connector will rock no more. Over the past twenty years, the building has hosted hundreds of events with various owners - from concerts, to proms to award shows and more. In March, the Idaho Statesman reported the last events promoter had been sued by more than 17 investors -- a lengthy tale that ended with the Powerhouse closed since early 2016. Now, filings with the City of Boise show the Powerhouse will enter a new chapter: a real estate office building. Windermere Real Estate has applied to convert the building from event space to "general business offices for a real estate office." The existing main level and mezzanine would be kept, but occupancy would be decreased from 867 people to just 75. Windermere plans to spend about $100,000 to remodel the structure. 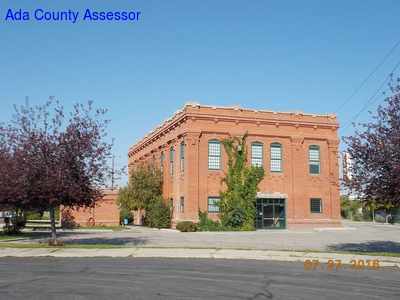 The building was constructed in 1912 according to Preservation Idaho, and used by Idaho Power and predecessor companies as a power operations building. It was converted in 1999 and opened as the Powerhouse events center in 2000.